Nico Restaurant is one of San Francisco’s finest, a Michelin-starred restaurant offering an unforgettable contemporary California/French dining experience at the hands of the highly talented French ex-pat Nico Delaroque. The vibe is a modern San Francisco spin on the classic Parisian neighborhood restaurant, driven by ingredients harvested, foraged, cultivated and sourced predominantly in Northern California. The existing single story retail space was converted into an approximately 2,900 square foot restaurant, retaining the original faux Victorian façade while replacing the existing retail display window with a new steel storefront and entry that offers a more inviting neighborhood restaurant presence from Sacramento Street. 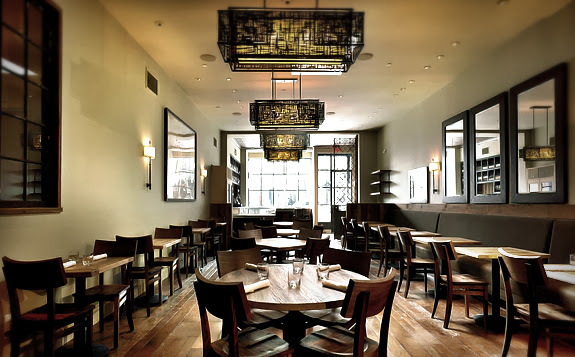 Patrons entering the restaurant are met with a cozy bar warmed up with rustic oak detailing that showcases an impressive display of wines, while a custom pewter bar top and traditional tin ceiling give a subtle nod to the classic French brasserie. 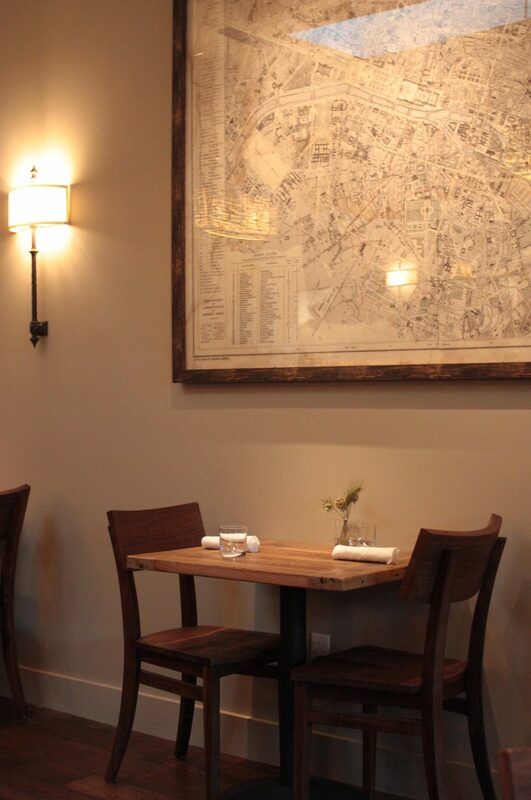 The 44 seat main dining area is a simple palate of a stained wood wainscot and warm white plaster walls, with reclaimed oak tables that evoke a dining within a rustic home. A large window at the back wall of the dining room offers patrons a quiet peek into the action in the kitchen. Vintage ironwork and art provide scale and decoration. The overall effect is timeless and simple, with a industrial-meets-rustic-farmhouse setting. The restaurant design is a reflection of the owners, Nico and his wife Andrea Bryant, whose goal was to build a restaurant associated with warmth, quality, and simplicity. The two worked hand-in-hand with zero ten design in this collaboration, sourcing many of the materials and even assisting on some of the demolition and construction themselves! 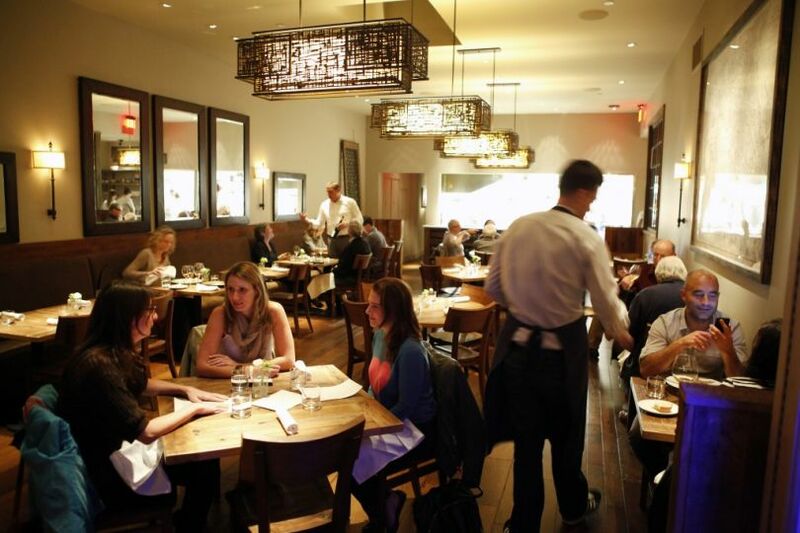 Since its opening, Nico has been warmly received by locals and the press, receiving multiple accolades, including being named as one of the ‘Top New Restaurants in 2014″ for the San Francisco Bay Area. 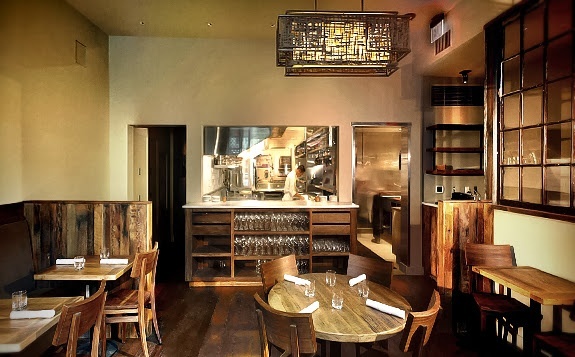 Since its opening, Nico has been warmly received by locals and the press, receiving multiple accolades, including being named as one of the ‘Top New Restaurants in 2014″ for the San Francisco Bay Area and a Michelin star. 3.5 Stars. From start to finish, dining at Nico is a joy. 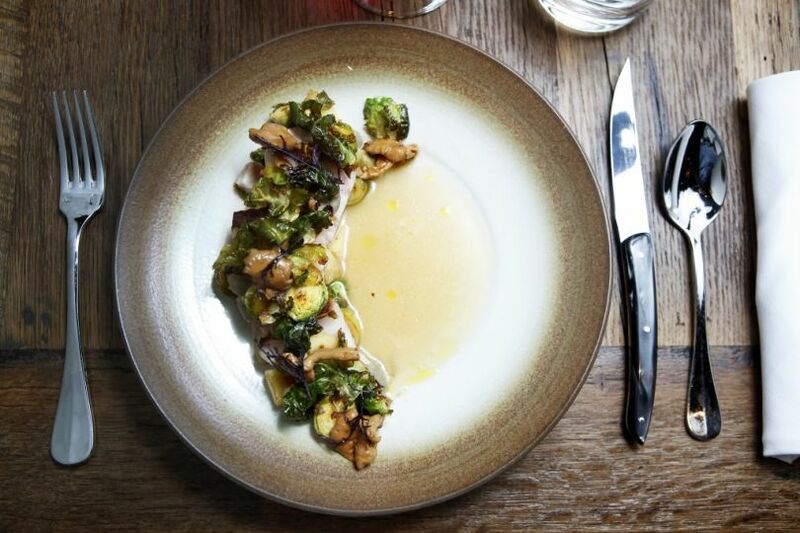 Delaroque’s cooking is a study in restraint, but with a few clever flourishes. 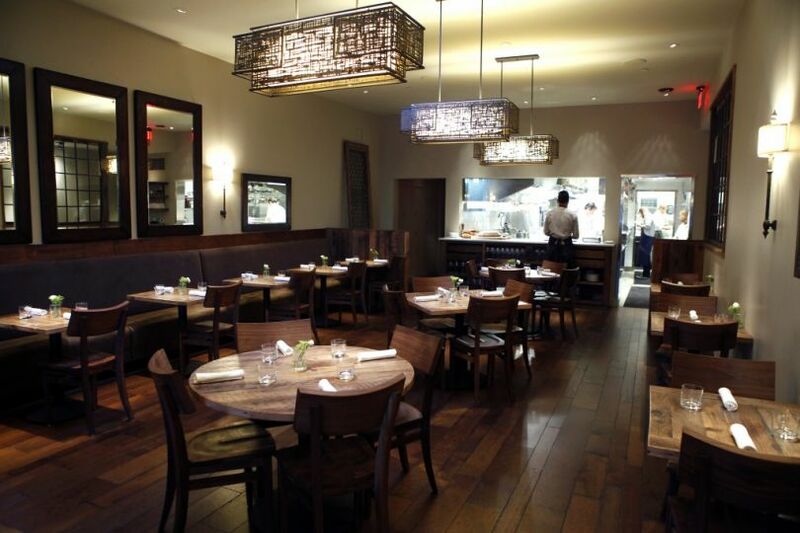 I love the food, the casual but civilized surroundings and the service that’s as smooth as if it were at Michael Mina.